White Rabbit Watch Charm v2 Bracelet There are 3 Reviews. 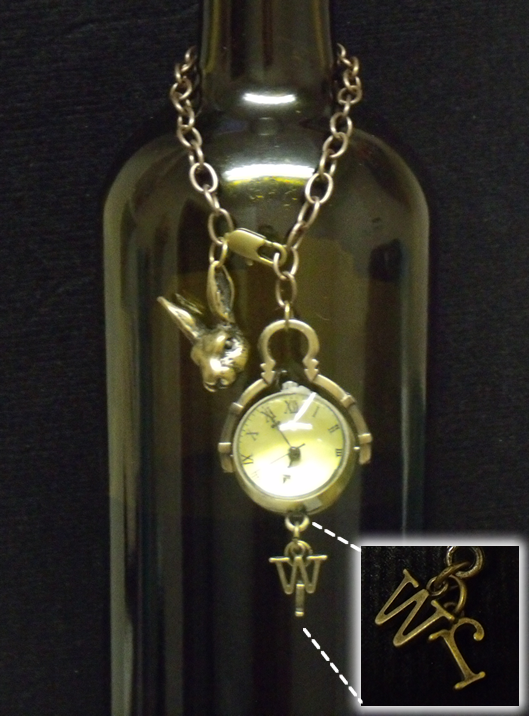 Metal White Rabbit charm bracelet and real working watch eye to help avoid being late for your very important date! The letters 'W' and 'R' hang from the bottom of the watch.